Cisco Systems, a multinational technology conglomerate, was in the midst of transitioning their traditional work environment to an open workspace. Long gone are the days of the traditional 9-to-5 office. An open workspace enables their employees to have an equal physical and virtual workspace to maximize the creative potential of their workforce and allow new and more effective ways of working. With the mantra enabling the workspace of tomorrow… today, an open workspace campaign needed to take off immediately to educate and build awareness. 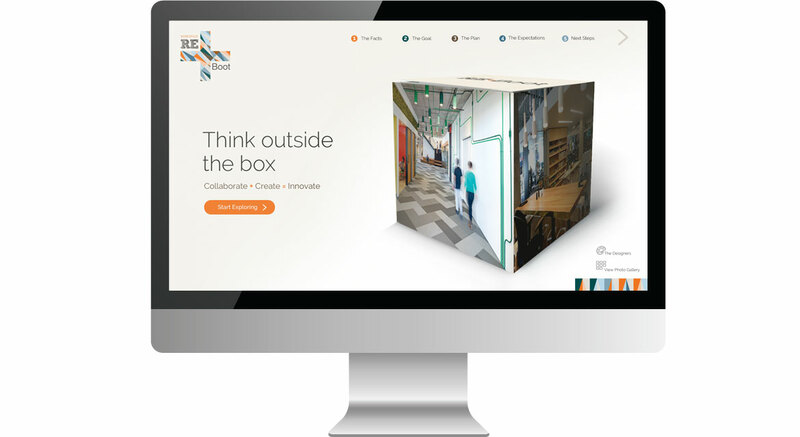 Cisco Systems assigned dystrick to create a website to educate and promote open workspace with a Think Outside the Box campaign. 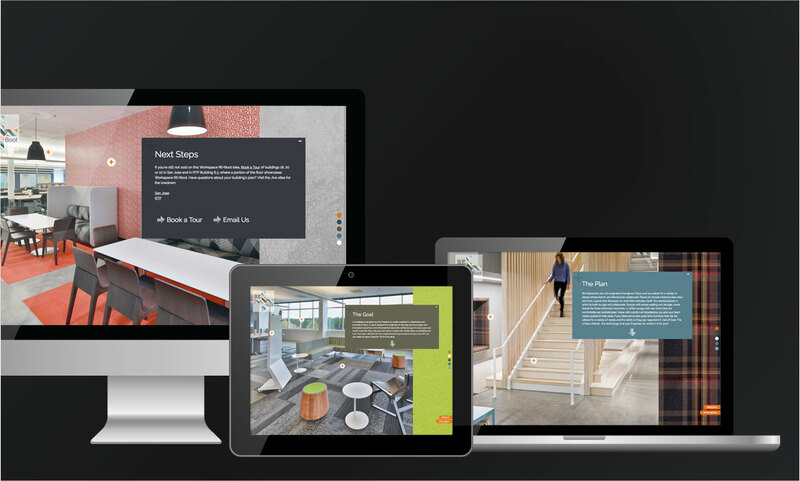 dystrick designed and developed a WordPress driven website along with a custom tailored design to reflect open workspace. 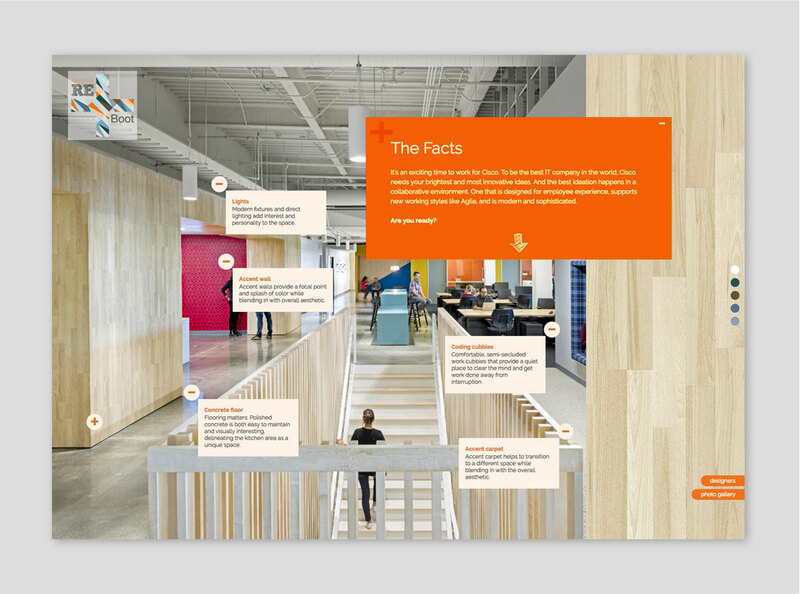 The design included stylized graphics, imagery and interactive features promoting the benefits of open workspace, such as improved productivity, optimized real estate costs, and energy and resource savings. The website was a huge hit among Cisco Systems employees. If you’re interested in rebooting your website, please contact us. From the onset the UX team set out a path for the best user experience possible because a solid user experience would help with the adoption of open workspace. dystrick’s design team designed all the creative visual elements of the interface to meet Cisco’s standards. This included: style, color, fonts, graphics, imagery, icons and illustrations. The content management system is WordPress along with a custom design theme.